Alpine Valley Resort is set in the beautiful Sugar Creek Valley with mature trees and rolling terrain common to the Kettle Moraine Area. Because of this, the hill provides diverse terrain for beginner ease, challenging expert runs and a full featured Terrain Park. Alpine can move more people faster and more efficiently than any other area in the Midwest. Our three high speed Quad Advanced Chair lift systems mean less time in line and more time on the snow. Cascade Mountain is located near Wisconsin Dells. It is the largest area that Snowflake travels to and offers more terrain to experienced riders. 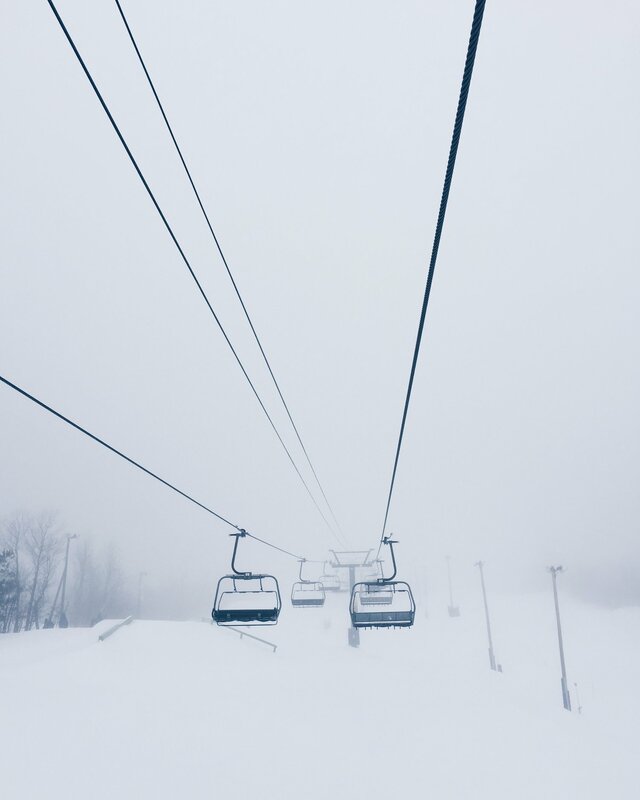 There are 11 lifts with a wide range of beginner to advanced terrain. As one of Galena’s proven and leading destinations, Chestnut Mountain’s 220 enthralling acres of solid terrain offer guests an exciting experience and a majestic view of the Mississippi River. Devil's Head is a full-service ski resort nestled in the heart of the glacier-formed, Baraboo Bluffs in South Central Wisconsin that has become a preferred ski area to Midwestern skiers and snowboarders. It's only three hours away from Chicago and even closer for winter vacation seekers from Madison or Milwaukee. Various local and national ski magazines have chosen Devil's Head as one of the "Midwest's 10 Best Ski Resorts". Little Switzerland is a classic local area that has 4 major lifts and 4 rope tows. It also has 3 terrain parks. Improvements in recent years have improved the lodge and snowmaking to make it a really fun area to ski at. Vail Resorts’ $13.2 million capital improvement plan at Wilmot Mountain has significantly enhanced the ski and ride experience at Wilmot Mountain. Improvements in snowmaking to provide a more consistent and high-quality snow surface, new lifts, base lodge transformation, new terrain park and high-speed rope tow, and enhanced alpine racing features all contribute to a better ski/board experience. Members who provide an Epic Pass on our trips to Wilmot will receive a $30.00 credit for the trip.